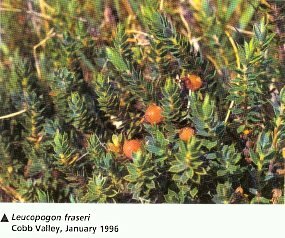 A small, low-growing shrub with creeping, underground stems, often forming quite extensive patches. The wiry stems are usually 5-15 cm tall and clothed for much of their length with foliage. Leaves: 4-9 mm long and 1-3 mm wide, quite hard of texture and the tip is abruptly narrowed to a fine but pungent point. Their upper surface is deep green, greyish, or yellowish- to bronzy green. Flowers: White, produced from the leaf axils along the stem, strongly honey-scented, 1-1.3 cm long, with five distinctly bearded lobes at the mouth of the tube. Fruits: Orange, 8-9 mm long. 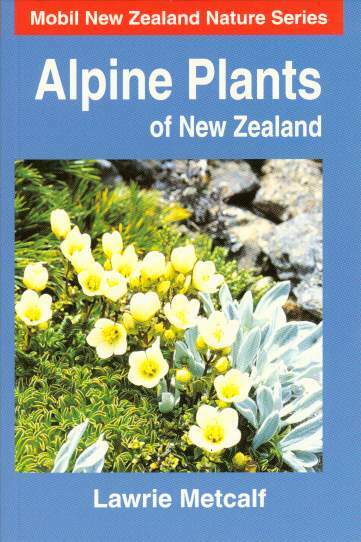 North, South and Stewart Islands in coastal to low-alpine regions throughout. Sea level to 1600 metres. 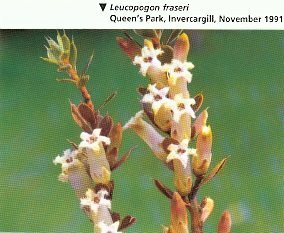 Usually common in dry places in coastal dune hollows, low tussock grasslands, rocky places and fellfields. Identification: The leaves can be quite prickly to the touch, which is often the first indication of its presence amongst other low vegetation.